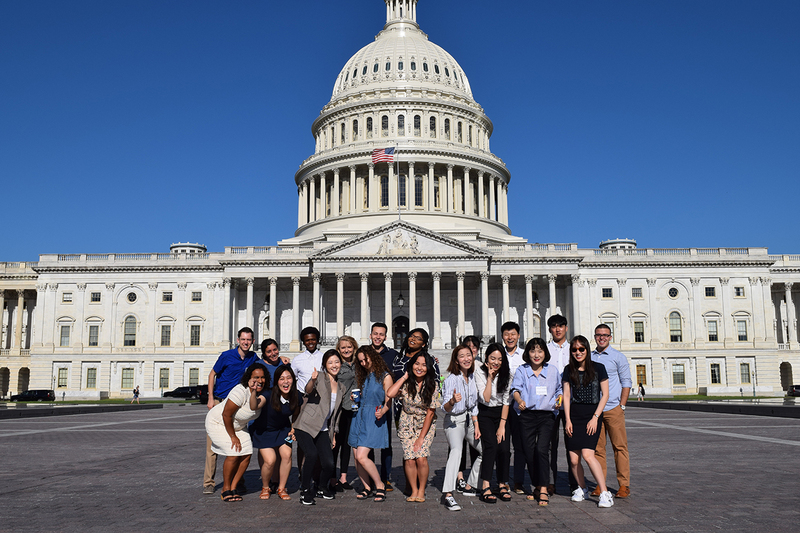 Meridian is pleased to announce the opening of the application process for the 2019 U.S. Congress – Republic of Korea National Assembly Exchange Program. Please submit your completed application materials by Thursday, May 23, 2019. 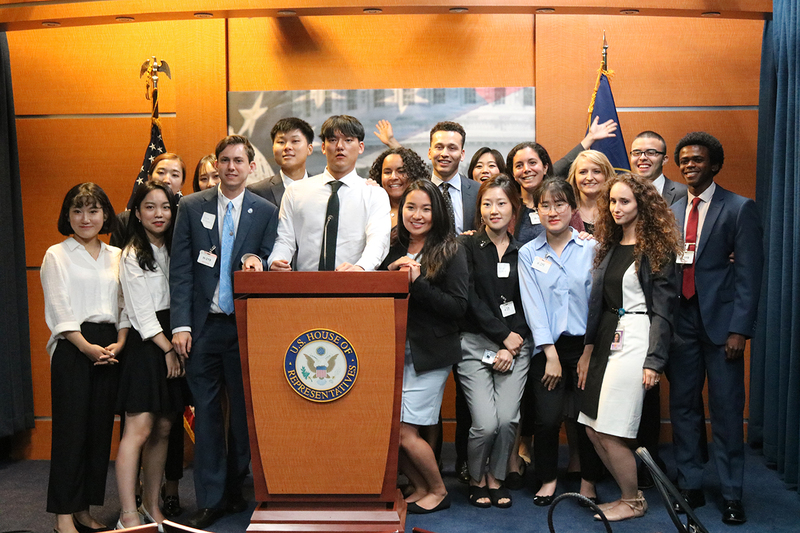 The U.S. Congress – Republic of Korea National Assembly Exchange Program is a unique program designed to broaden the perspectives of Korean and American young people on: the legislative process; the history of U.S. - Korean relations; and current economic, political, and security aspects of the bilateral relationship. 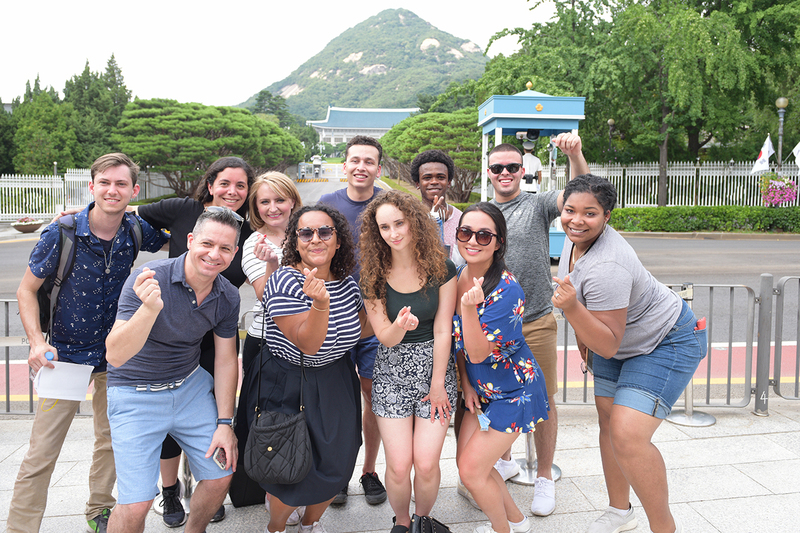 The program also provides the U.S. and Korean participants with firsthand experience of each other’s people and culture, and creates opportunities for participants to form long-lasting personal contacts. The program was first created in 1981 by U.S. Representative Ben Gilman and his counterpart in the Republic of Korea National Assembly David Pong. The program is jointly funded by the Department of State’s Bureau of Educational and Cultural Affairs and the Republic of Korea National Assembly. The U.S. portion of the program is developed and implemented by Meridian International Center. This joint exchange program combines professional meetings, briefings from government officials and private sector specialists, peer interaction, and cultural activities. 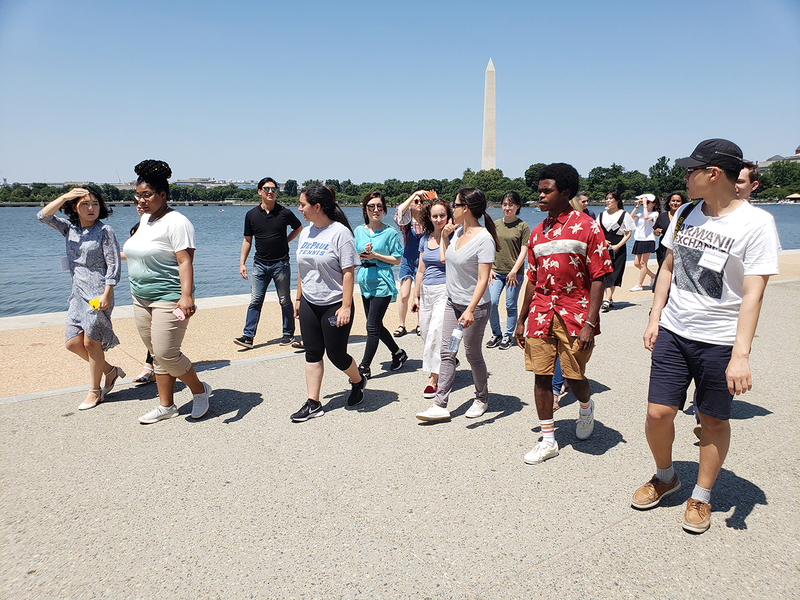 Ten Korean university students and young adults and a group leader from the Republic of Korea National Assembly will participate in the U.S. program and an equivalent group from the U.S. will participate in the U.S. and Korea program. 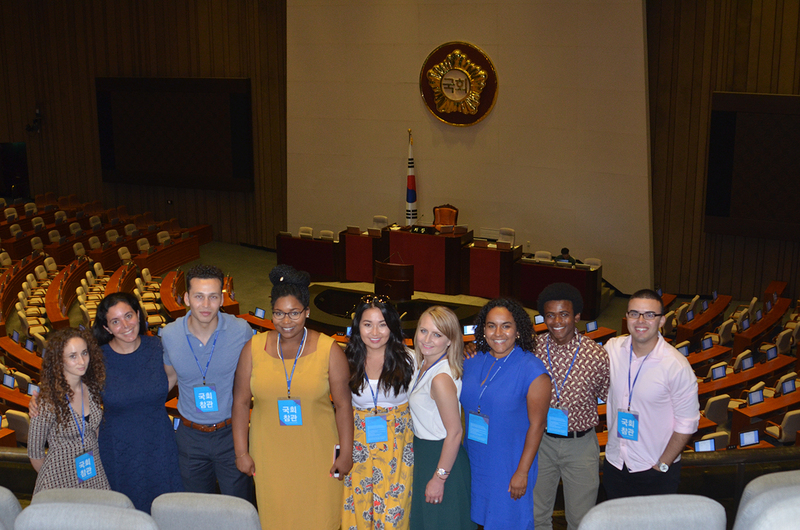 The U.S. delegation consists of 10 American students and young adults, between the ages of 21 and 27, recommended by members of the U.S. Congress and selected through a competitive application process. For additional information please check the "Qualifications" and "How to Apply" sections below. 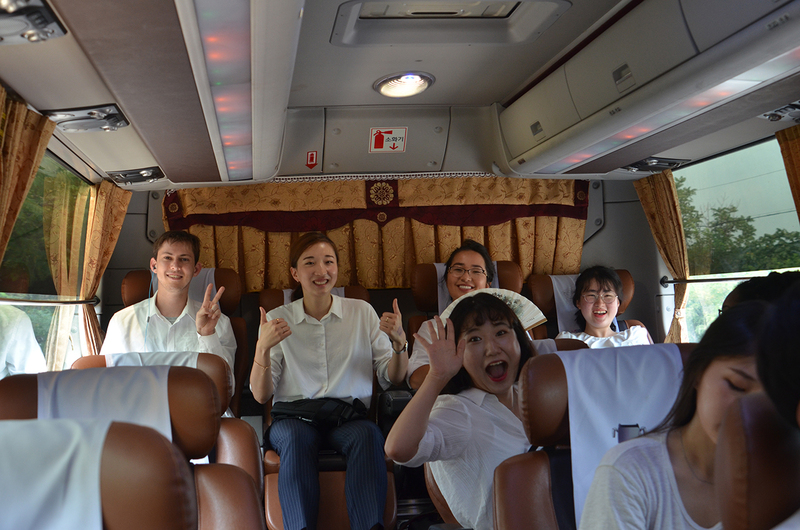 The Committee on Foreign Affairs, Trade, and Unification of the Republic of Korea National Assembly nominates and selects the Korean students to travel to the U.S. 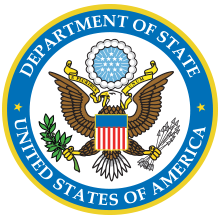 Participation in this program for the selected members of the U.S. delegation is fully funded by the U.S. Department of State, including domestic flights to and from the delegates’ hometowns, international flights to and from Korea, and hotels, meals, and local transportation while in Washington, DC. The Republic of Korea National Assembly’s Committee on Foreign Affairs, Trade, and Unification will cover all program costs in Korea, including accommodations, meals, and local transportation to scheduled meetings and events, as well as entrance fees for planned cultural events, museums, musical performances, etc. Other incidental expenses, such as gifts, souvenirs, movies, free time activities, and meals outside those included as part of the program are the responsibility of the individual participants. Recommendation by a member of the United States Congress. Demonstrate professionalism and respect for all participants and hosts throughout the program. A one-page memo is due one week after the completion of the program summarizing each participant’s experience on this program. We strongly request (and encourage!) the participants in the program to meet with their nominating congressional office, either in Washington or at the district office, to brief the congressperson and/or senior staff on their experience in this program and their thoughts on U.S.-Korea bilateral relations. Important note: this program is not geared for U.S. applicants who have already had significant opportunities to travel or live in Korea. Please make sure you read all of the qualifications and responsibilities before you complete this application. Only completed applications will be considered for review. You will be notified if you are selected by Friday, June 7, 2019 and will be expected to confirm your participation by Thursday, June 13, 2019. A. Application Form: Please complete the application form, which includes sections on personal data, academic background, and professional background. How you foresee this program impacting your future professional and personal goals. C. Letter of Recommendation: Please submit a letter of recommendation from a member of the U.S. Congress. The recommendation may come from a) the office of your Senator or Representative, b) the office of a Senator or Representative for whom you have interned, or c) the office of a Senator or Representative for whom you are currently interning.